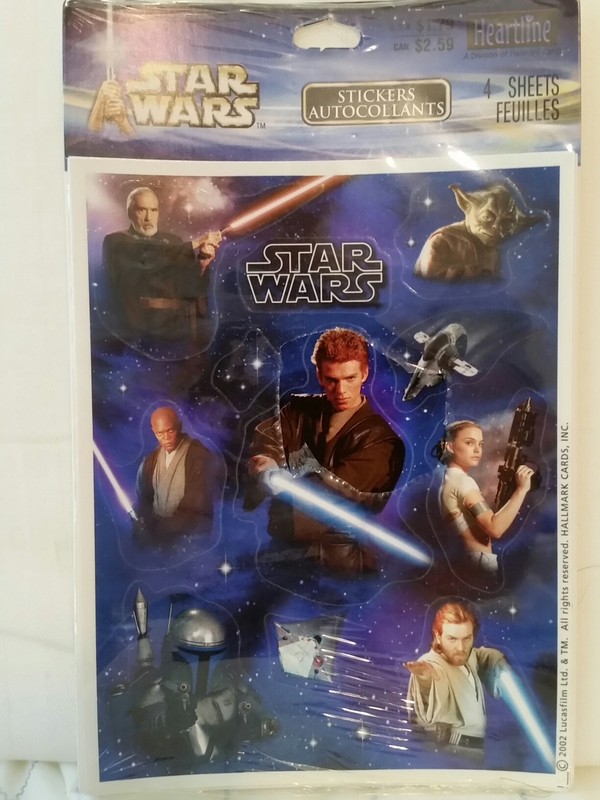 Released in 2002 was this package of stickers depicting characters from Star Wars: Attack of the Clones. Each sheet contains 12 stickers–7 characters, 2 ships, 2 star fields, and the Star Wars logo. 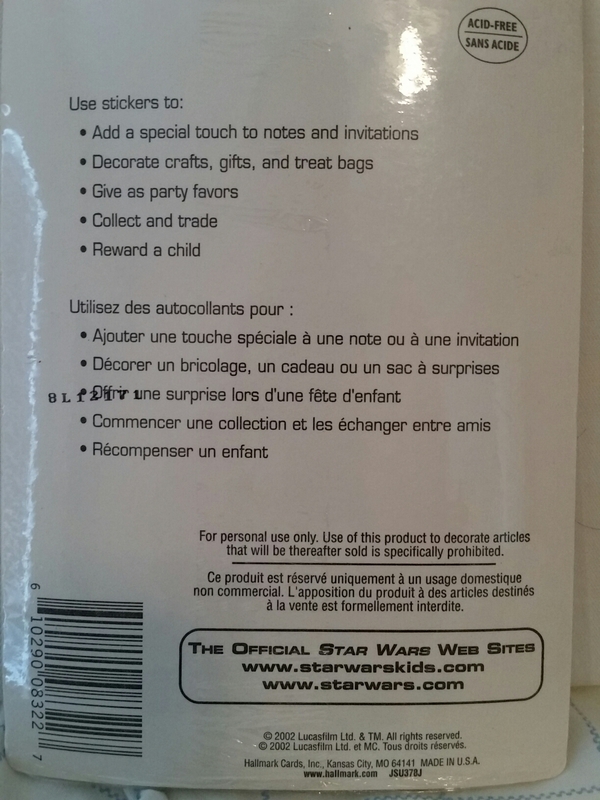 Each package contains four identical sheets. Originally priced at $1.79 in the USA, I bought them for a dollar at Tampa Bay Comic Con. The U.S. Post Office released a series of 15 Star Wars postage stamps at Star Wars Celebration IV in Los Angeles, California, on May 25, 2007. 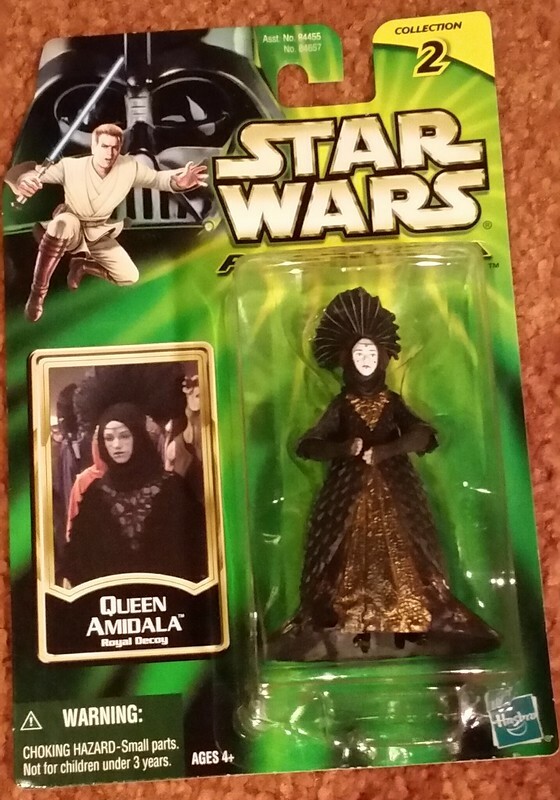 This Queen Amidala stamp has been canceled with a special first day of issue mark. I purchased a complete set of first day cancelation stamps from the U.S. Postal Service In September 2007. There were two different official posters for Star Wars Celebration III in Indianapolis. A horizontal poster was created by Joe Corroney and Jeff Carlisle. This vertical poster has art by Matt Busch. 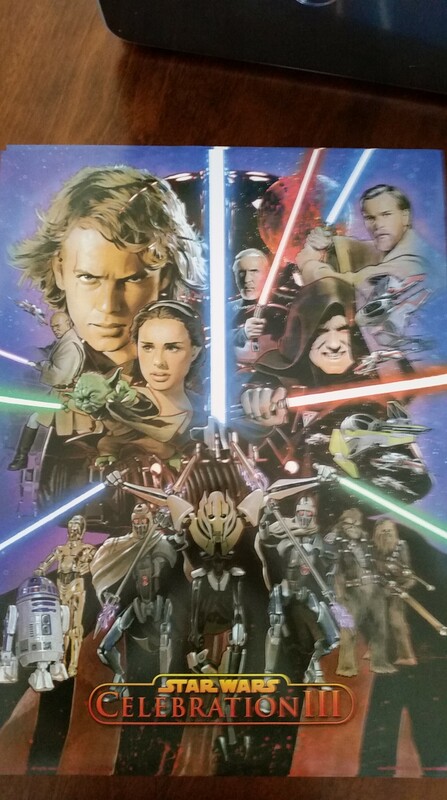 This poster was purchased from the official celebration store at Star Wars Celebration III. The original sketch on the card was made by Talon Dunning who then produced trading cards with the image on the front. I bought this card at Dragon Con in September 2014. 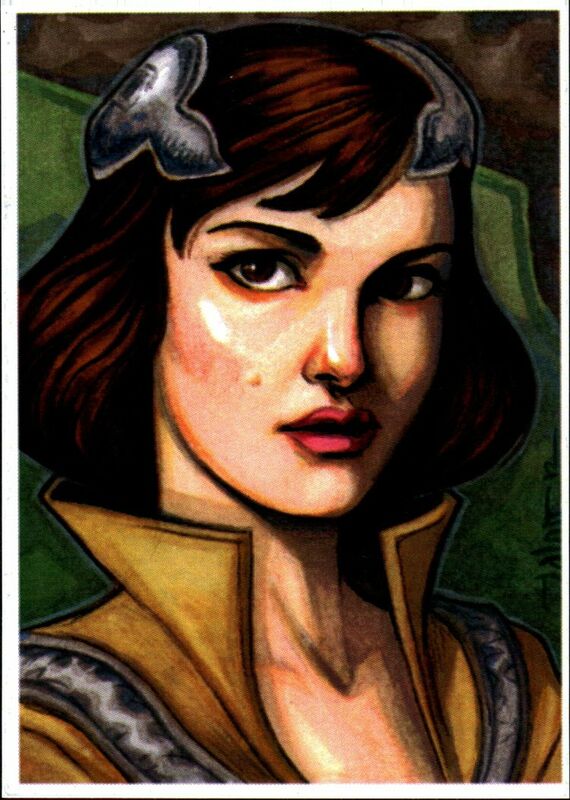 Daily Dose of Padmé goes green for St. Patrick’s Day. Printed on 72pt stock, the base cards are of extremely high quality. There are numerous levels of parallel versions of base cards.The green parallels, numbered to 50 of each base card, is the second rarest parallel behind only the gold 1/1. I purchased this card on eBay. 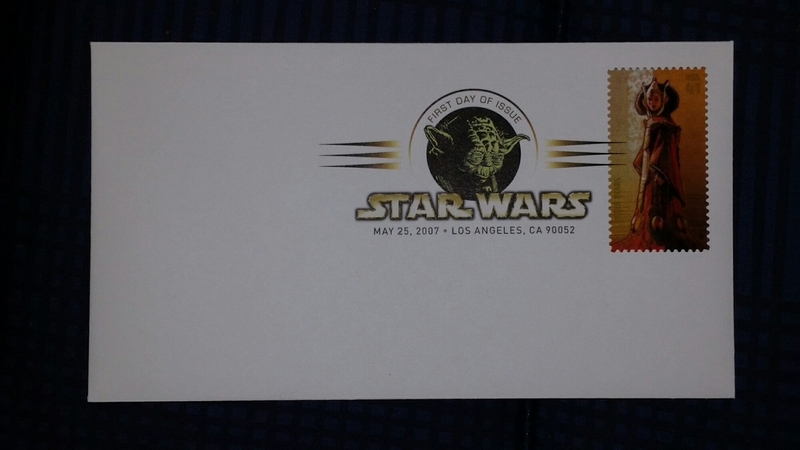 In 2007, the United States Post Office issued a series of 16 Star Wars stamps. 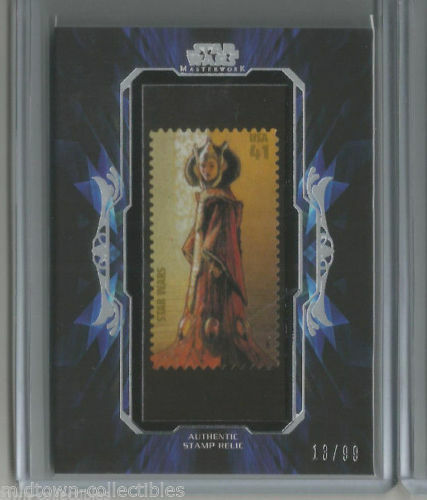 Those stamps have now been turned into limited edition relic cards for the 2014/2015 Star Wars Masterwork set. 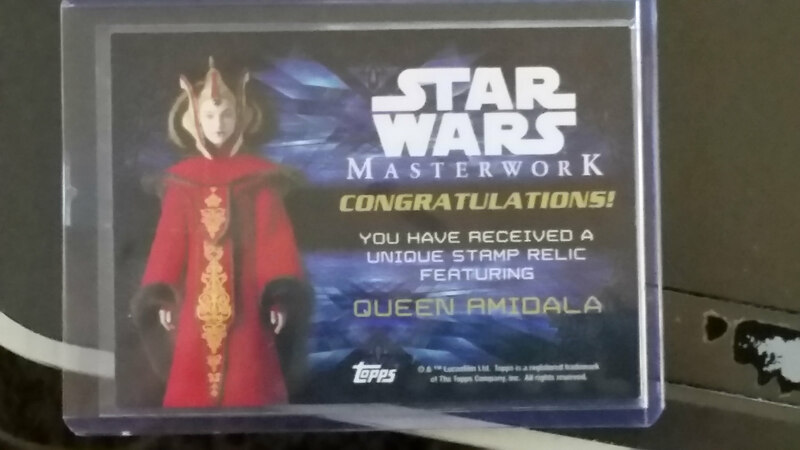 I purchased this card from Midtown Collectibles on eBay for $40. I bought this card before I opened my case of cards in expectation that I would not get one and I was right. 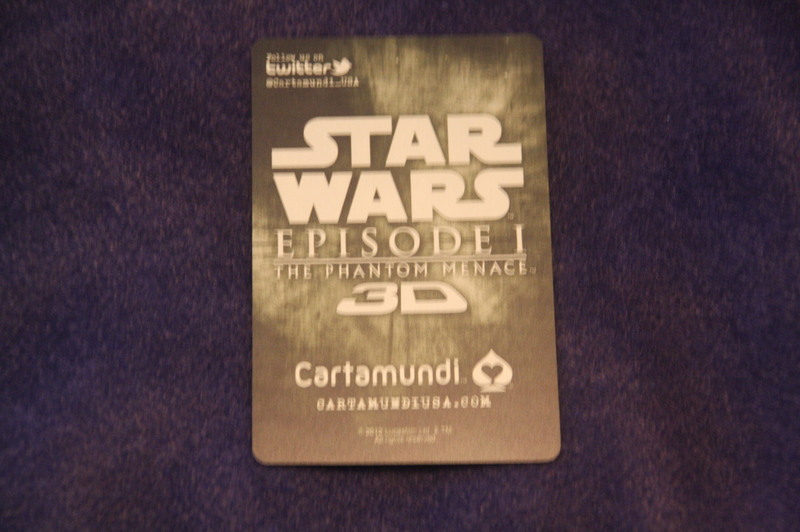 This over-sized lenticular playing card was given away by Caratamundi at Star Wars Celebration VI in Orlando. A different card was given away each day. 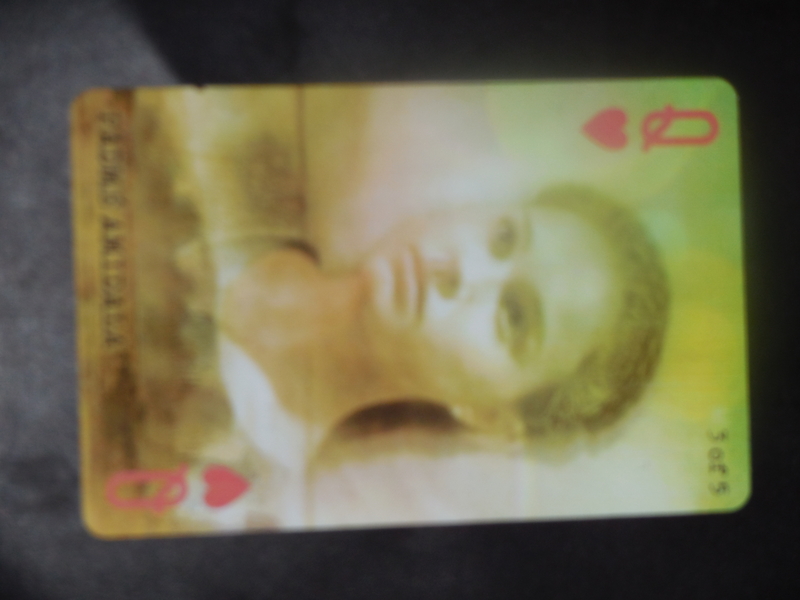 In order to receive the ace, you had to have picked up each of the other four cards (and marked on your program). 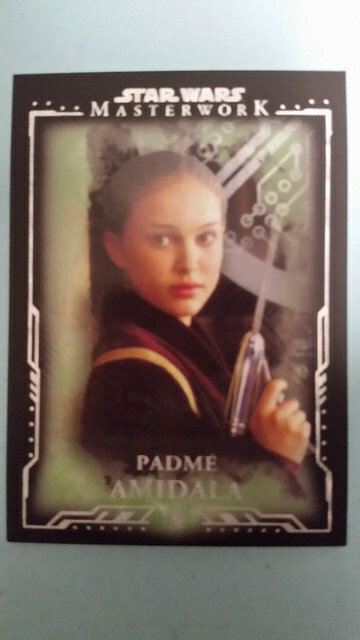 The Padmé Amidala card, the Queen, was distributed on Saturday. I went by the Cartamundi booth on Saturday morning but thought that I didn’t have my program with me. As a result, I purchased the framed set of five cards. The card shown here was acquired for $1 from an eBay seller. 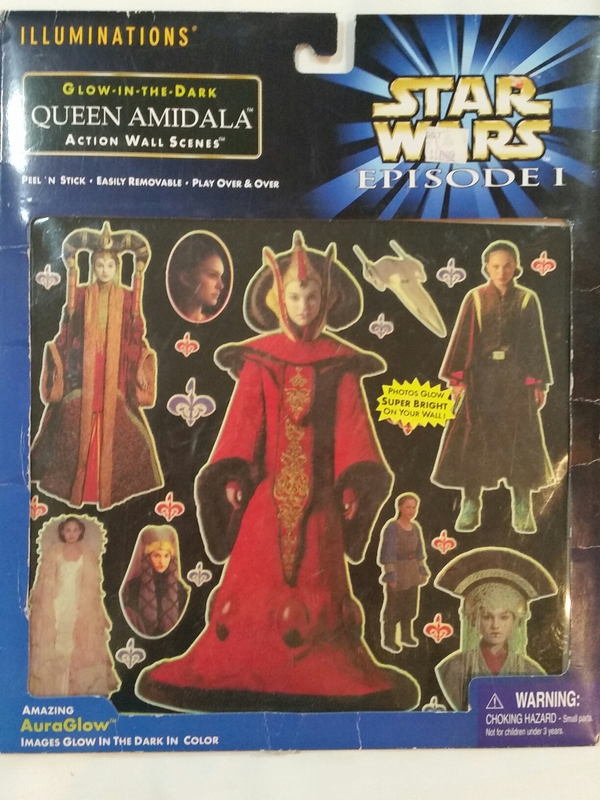 The novelization of The Phantom Menace was released with four different dust jackets: Anakin Skywalker, Darth Maul, Obi-Wan Kenobi, and Queen Amidala. 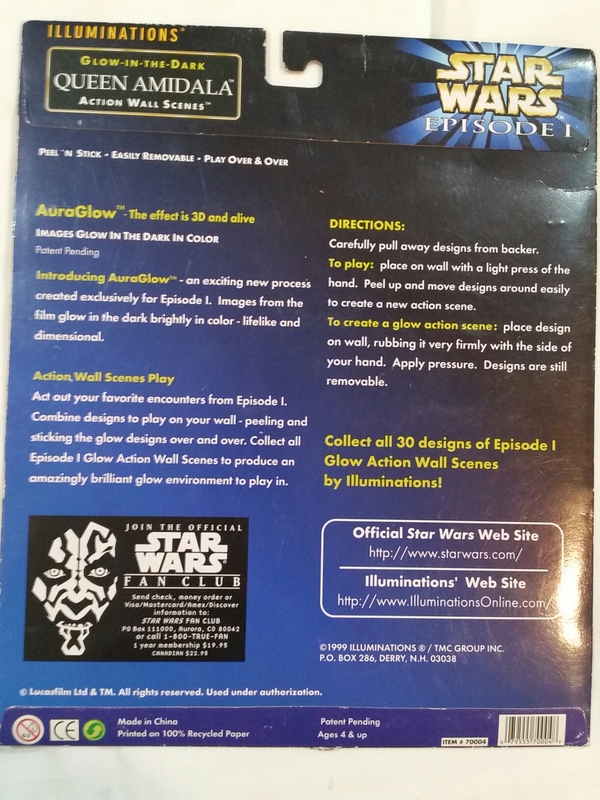 There is also a limited edition autographed edition without a dust jacket that has Darth Maul on it.